Intent: To create an NPC Monitor for The Slave's new alias. Role: Saaraishash agent charged with keeping tabs on 'Darth Amon', the new alias of The Slave while in the Sith Empire. Visually, Odona is almost negligible despite a distinct beauty about her; as her body has been forged by war and politics. Tight and lean, the inquisitor doesn’t share curves as many, nor does she have a lithe figure as others; but an athletic status that leaves her all on her own, with rolling shoulders and long arms with the occasional scar from shrapnel and knife wounds. It is her face however, that offers something to witness. Long straight brown hair is often kept tight in a ponytail behind her, swaying as she sprints to the next piece of cover. Her face is well shaped, with high cheekbones and soft lips with a rosy nature of their own; while a jawline offers a feminity contradictory to the lethality she keeps in her back pocket. Wealth: Average, reasonable benefits included with being an imperial agent. Odona is well versed in numerous areas of combat, most notably infiltration and covert operations. This has led to a long and successful career, from cloak and dagger in rebellious elements within the galaxy to more refined assassinations of negative political figures or rising figureheads. There is a distinct skillset she has developed for combat, charisma, and otherwise undercover traits that would encourage such an agent into greatness. Outside of this, she knows very little. Doing well in school she does have a distinct intelligence about her and a natural predatory sense of tactics; though to such simple tasks as empathy she suffers from years of abuse from both her father and the corps she served in. Her life is military, and she will never know peace as a civilian; likely to die in open combat than in a retirement home years from now. On the surface, the Inquisitor is capable of appearing both open and appreciate, charismatic and beautiful; yet all of this is a finely crafted facade to close herself with the enemy. In reality, she suffers from an almost psychotic aversion to empathy and all that revolves around it. Life means nothing to her, the very ground she walks on is worth more than a stranger as the ground at least holds her up. At the end of the day, she has been trained with nothing but the loyalty to an empire she has known for all her life. In this, she is stoic and emotionless. Her gaze is cold and piercing, able to strike fear in the hardiest of men and women; with her stance often ready for combat at any given moment. Broad stances, and powermoves are her forte; something she has learned in both combat and infiltration when intimidation was key to success. Simply being in the same room as her feels deplorable off nothing more than the icy apathy she holds about her. In combat, Odona is much a jack of all trades. 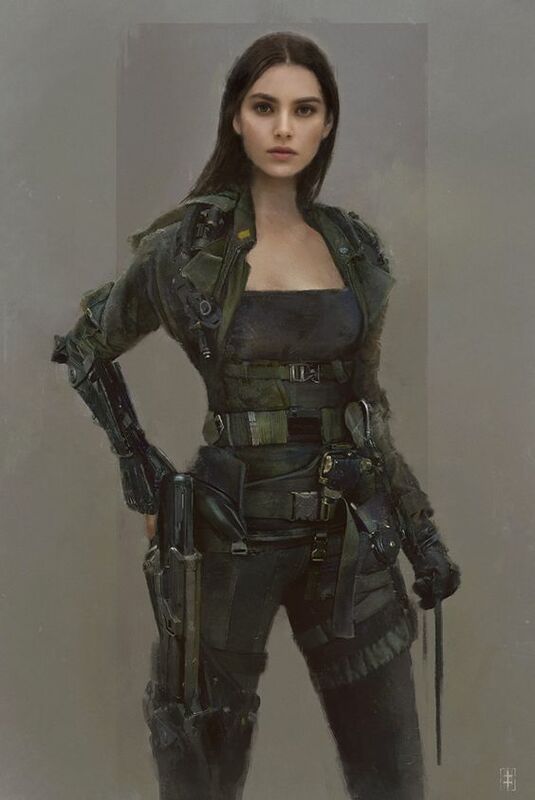 In long range engagements, she is capable of firing accurately up to a kilometer away from a target with the proper spotter, while in medium range engagements she is capable in the use of an assault rifle; however, where the Inquisitor finds comfort is in close quarters combat and urban engagements; something instilled in her through numerous deployments on Sith held cities with rebel elements within them. From melee weapons like swords and knives, to hand to hand she is fully capable holding her own against the likes of force sensitives or otherwise. However, when it is said she is a ‘Jack of All Trades’, it means just that. Besides direct confrontations with a force user, her effectiveness can be outdone by more specialized skirmishers and soldiers; her greatest fault being unfamiliar scenarios such as fighter combat, a lack of sealegs in artificial gravity, and any open combat. Her effectiveness falls when compared to traditional soldiers, as her training does not go past that; she again finds severe danger when outnumbered, when facing down those with magnification force powers, or anything that would outpace someone generally considered ‘special forces’. Afterall, despite her training she is still just a Firrerreo. Dueling, in fact, is heavily her purpose now as she has been reclassified within the Inquisition to monitor force users due to her force dead nature. Without being touched in the force, Odona is capable of pressing an advantage against Sith and Jedi alike; designed through training to take them on when able, though this comes at the cost of helpful force powers being completely unable to assist her, including healing and the like. Much of this has led to her current assignment as a monitor for a project referred to as ‘Lilith’; the perfect suit for her skill set. Born and raised on Bastion; Odona is the child of a loving mother and an abusive father. It was this contradictory relationship that led her to despise her mother and follow a harsh worship of her father’s officer roots; despite the earnest attempt of her mother. As Odona aged, she was slowly subjected to her father’s insane attempts at achieving a super soldier within his daughter; bringing in Sith and Scientists alike to work their magic on her until the early preteen years. It was this experimentation that led to a deadened force presence; one of the few effects retained through the illegal and rudimentary augmentations implemented by the father. At the age of twelve, the father put Odona in the Imperial Academy of Bastion; left to her own devices within the harsh environment of the military regime. It was here she would distinguish herself with her own identity, though heavily in the shadow of the deity of a figure her father had established himself to be. Excellent grades, superb test scores, and record setting physical attributes led Odona to graduate one of the top in her class; soon to be hand picked by a High Inquisitor of the Saaraishash to be inducted within their inquisitor ranks. It was this definement that led to a long standing career within the Sith Inquisition; years of work given to the infiltration of rebel cells and forlorn disregard for partitioned elements that directly contradicted the standing rule of the Emperor. Hundreds of confirmed kills, before her reliability was further recognized and a new assignment was given to the Inquisitor; the monitoring of the Sith called ‘Darth Amon’, a moniker she would seem to detest. Now, she is in charge responding his actions when able back to the inquisition she works for, and should the order come in; to kill the Sith if he ever awakens from his brainwashing. Chosen for her skill at taking on the force sensitive and her status to blend in, she is publicly assigned as his bodyguard and follower, though privately she is to be his executor, leave only the command to come. Edited by The Slave, 14 July 2018 - 04:13 PM. Everything looks sweet except that you have to link The Sith Empire here for me before I stamp my approval. while in medium range engagements she excels in the use of an assault rifle though even this is still not where she excels. Do you want to tweak this tautology here? "She excels here but this isn't where she excels", I think you might want to word that better. The combat section includes long lists of what she's good at. But then her weaknesses boil down to she is average, or slightly above average ("barely above that of a standard soldier"). These don't balance out at all. I'd like you to add a couple of legitimate deficits for this NPC. Being average at something =/= a weakness. Yeah, that was a poor section. I expanded on it, but ended up just rewriting a good portion of it. Not sure if its alright yet, but I hope its reasonable enough for a specialized agent. I'd like you to add in something about how being Force Dead also means she cannot be affected by positive powers that benefit her either, and I can stamp this. Gotcha. Added that in the combat function.